The issue is not that you don’t know what to do to be successful, the issue is, you don’t do it. As I was browsing YouTube today, a video caught my eye about how to get leaner (leaner body). Backstory: I’ve been on a fitness/lifestyle change and so my feeds are generally filled with fitness related stuff. Most of my child, adolescent, and young adult life I’ve been thin. A few years ago “something happened” and I “ballooned” up to be overweight, about 150 pounds on my 5’4″ frame. I was away from home for about a month last year traveling, and when I came home and weighed myself, I had gained about 12 pounds, reaching 150, and was at 34% body fat. At borderline 34% body fat (which is considered obese on most charts), I was completely shocked and knew a change was in some serious order. I had tried to lose weight 8 months prior and had ended up gaining weight while vigorously working out. Discouraged, I stopped working out and continued the same-ol’ same-ol’. In January upon returning home, I put my foot down and was determined to figure out this whole “lost weight” thing. I had never had success with it prior, and it was scary thinking that perhaps I was destined to be overweight like the majority of America. For two weeks I strength trained and ate at my “calorie goal”. I didn’t see a reduction in weight, but I did see a half a percentage of body fat loss. That was mildly encouraging, but it wasn’t nearly enough as I had anticipated. I started aggressively hitting my protein macro and ensuring that goal was met every single day. Subsequently, my carbohydrate macro went way down, to the point where I wasn’t eating many carbs. Turns out that was the best thing I discovered about eating and diets. I discovered the ketogenic diet / way of eating a week later. In the first two weeks of doing keto (or what some call low carb high fat), I dropped 9 pounds, and a percentage of body fat. I assume a lot of that ended up being water. From there on out, I committed to eating keto, and over the next 3 months, I dropped another 11 pounds. I’ve gotten lazy and comfortable from May to now, still mostly eating within my macros, but I’ve recommitted recently and lost another 3 pounds. I’m currently my thinnest I can remember in a very long time. Years. Not nearly at where I was about circa 2008 when I was arguably in the best shape of my life (eating the worst stuff though)– but where I’m at now is leap years where I was 6 months ago, or even 4 years ago. I finally figured out the best way of eating for my body. The only thing holding me back now is me. This video was really not about fitness. It was about modern psychology, how you see yourself, your habits and deliberate practice. 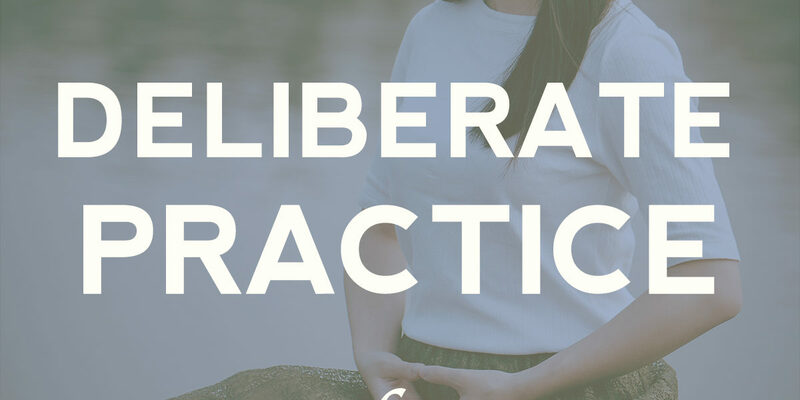 The things we do that become subconscious, freeing up our mind to do conscious things, is only done by deliberate practice. Getting really good at something is possible by practicing. 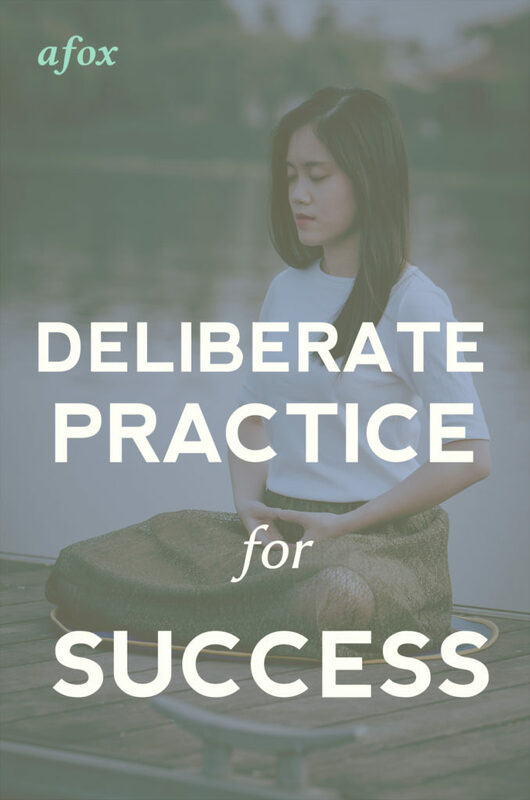 But not just any practice, deliberate practice. In the book Talent is Overrated: What Really Separates World-Class Performers from Everybody Else, what it really means to practice deliberately is discussed at length, and many examples are given of humans practicing something for hours– but not just any practice. They’ll deliberately practice the parts that they’re terrible at or situations where they don’t have much experience in. For example, a golfer may practice for hours in the sand trap so that when they are faced with that situation, they’ve had plenty of practice to handle it. In this video, listen to what several famous people had to say. Jim Carrey wrote himself a check for 10 million dollars and kept it in his wallet as a “goal card”. A few years later he landed a gig for 10 million– the lead role in the movie Dumb & Dumber. Arnold Schwarzenegger mentions that going to the gym every day was beyond discipline. He didn’t need discipline any longer. His self-image was pulling him there because he had a vision of himself. Yes. Whatever it is you are aspiring to be, outline the steps to get there and do it. Every day. If it’s fitness then do it every day. Repeat in your mind what you aspire to be and surround yourself with mentors that will help you achieve your goals. You don’t have to personally know your mentor either. I follow Neil Patel, Pat Flynn, and Marie Forleo on the web because I aspire to be like them as marketers. I follow Ross Draws because I aspire to be like him as an artist, and I follow various fitness experts online that I aspire to look like. A problem I run into is I want to transform my entire life all at once. While possible, it is easier to focus on one goal and work towards that by changing your habits little by little. I find that fitness is an easy way to practice discipline, which is literally practicing practice. Once you get the habits down, it becomes a part of you, just like Arnold said. Then focus on the next habit. Maybe it’s meditating, maybe it’s working on your side project daily, perhaps it’s writing your book. Whatever it is, focus on that one thing and keep doing it.